Descend the steps from the pool terrace and you are just moments away from the sophisticated Majorca dining, shopping and marina activity that is characteristic of vibrant Cala d'Or Mallorca. These 2 and 3 bedroomed apartments are available to rent: - Currently long-term unavailable. 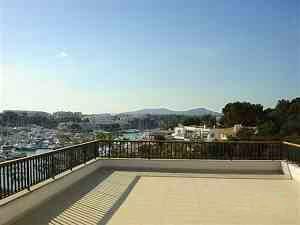 If your dates don't match for this property, please scroll down to the end of this file to rent other villas and apartments in mallorca. 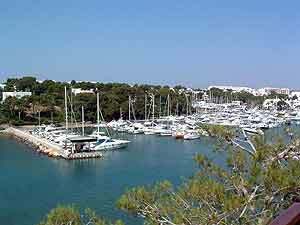 The marina of beautiful Cala d'Or attracts yachts and smaller craft from throughout the Mediterranean. This has given rise to a large number of superb restaurants that cater for every taste, together with up-market shops. The terrace provides a sunny vantage point to watch harbour activities. Relax on the terrace or take a dip in the kidney shaped pool with its wooden decking... as you ponder the tricky question of whether to return to your favourite restaurant tonight or try somewhere new. 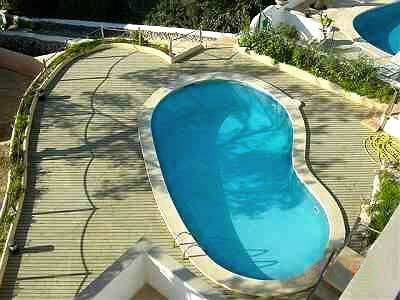 Sun loungers on the terrace make this a good place to sunbath, read or idle away the time. 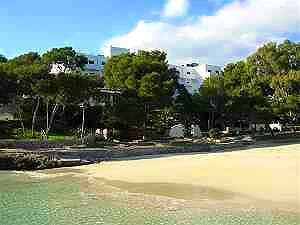 The view of the local beach and across the cove might also tempt you into the sea. These two new apartments are furnished to a very high standard with tiled floors throughout, and the provision of both air conditioning and heating allow for comfortable breaks at any time of the year. There is ample parking at the rear of the property. Steps lead down from the pool terrace to the side of the marina and to a local sandy beach. 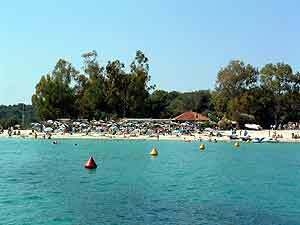 Its glorious sandy coves are quiet and ideal for swimming and water sports. 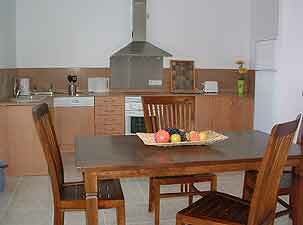 A variety of leisure activities, including golf, and local attractions are close at hand. 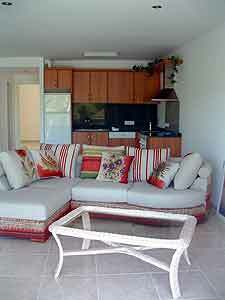 The large sitting room, with satellite TV, has patio doors that open out onto a terrace. 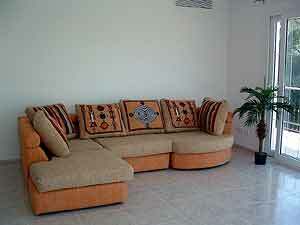 Sleeping accommodation comprises 3 double bedrooms. 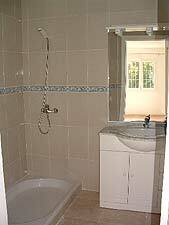 There is 1 bathroom and 2 shower rooms. 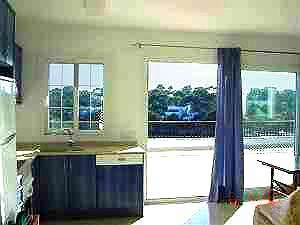 The open-plan sitting and dining area has satellite TV and patio doors that open out onto the pool terrace. 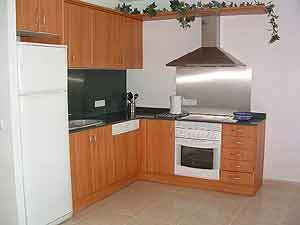 The kitchen is fitted with a ceramic hob, electric oven, large fridge/freezer and dishwasher. 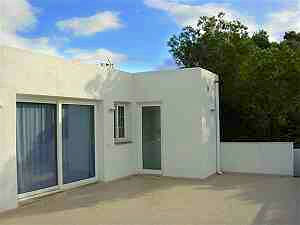 Sleeping accommodation comprises 2 double bedrooms, one with ensuite and a separate shower room. 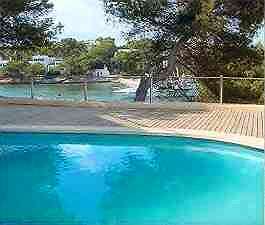 Cala d'Or caters for a huge range of leisure interests. 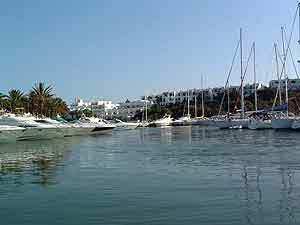 The numerous sandy and sheltered coves are perfect for swimming and a wide variety of water sports. 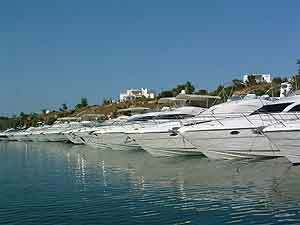 There is a windsurfing school and facilities for water-skiing, wake-riding and jet skiing. 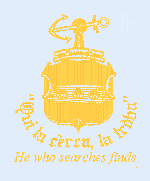 Boats are available for hire if you want the freedom to explore the many inlets or head further out to sea, and glass bottomed boat trips are also on offer. 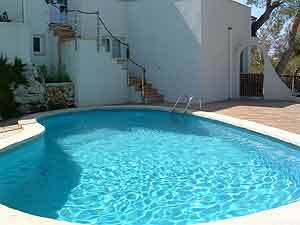 Land-based activities include tennis, horse riding, fishing and an 18 hole golf course. Fun activities such as crazy golf cater for all ages. 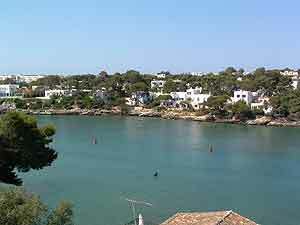 Numerous small coves with their sandy beaches (Callas) are waiting to be 'discovered', as are the nearby fishing villages of Cala Figuera, Portocristo and Portocolom. The famous Cuevas del Drach (Dragon's Caves), with their mile of stunning caverns and underground lake, are close by and well worth a visit. 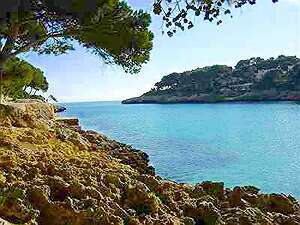 Cala d'Or is approximately 45 minutes drive from Palma airport. Attractive car hire rates from a local company can be made available on request. Alternatively, a transfer service can be arranged. 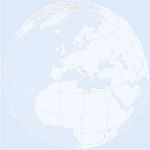 Ranges from �0 to �500 per week. Details available on application.